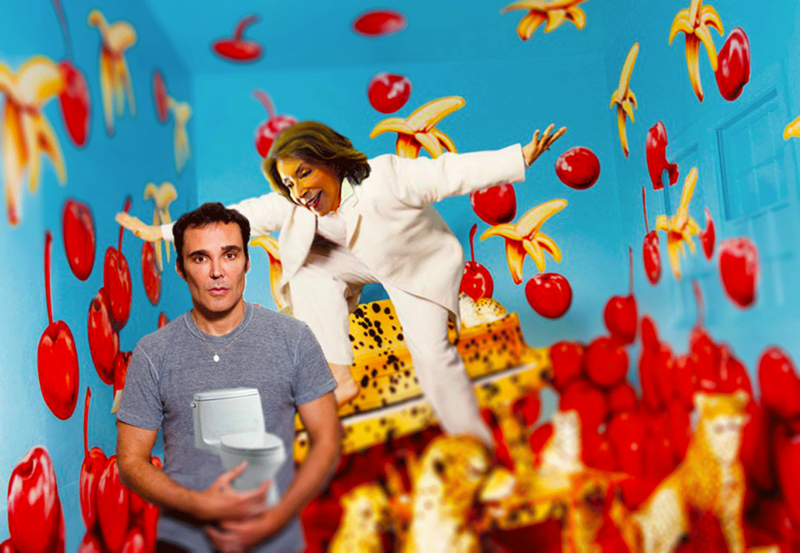 SCAD to give LaChapelle another toilet award! Now that he has won his SCAD étoile, an award used to lure aging fashion icons to SCAD on their way to Miami, he is furious that our Dear Leader used him to promote her bank account, and the laughable claim that SCAD runs a world-class fashion department. “He did say that our Dear Leader was a savvy business women. For that reason alone, we should honor LaChapelle with this year’s ultra exclusive, SCAD e’Toilet award.” chirped Jesus Lagartija, SCAD’s lovable, plump, and simple-minded dean of the school of design. The SCAD e’Toilet is awarded to those special celebrities who say “yes please!” before researching the organization that is giving them an award, an all-paid vacation to Savannah GA, and use of the SCAD private jet to visit Lacoste France. The award itself is hand-crafted from Wallace family kidney stones, and filled with Dear Leader’s tears. 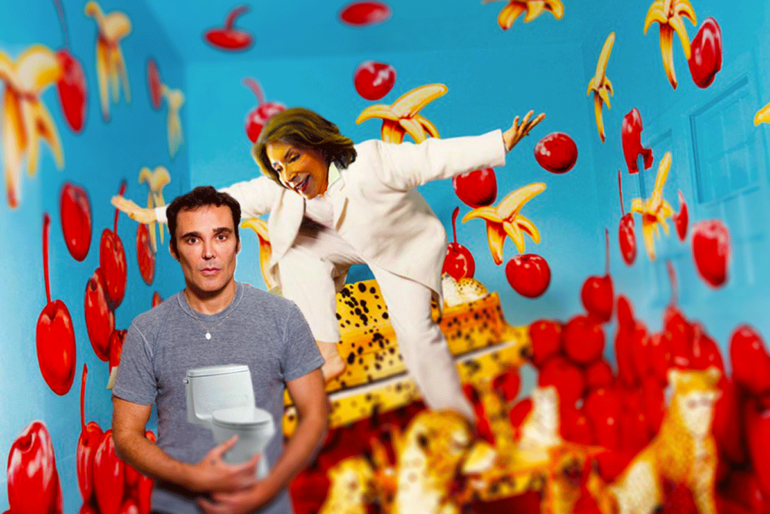 LaChapelle will be the 78th celebrity to be given this honor. The SCAD e’Toilet also comes with a copy of Dear Leader’s book,The Despot and the Piggy-Bank, a bag of fried pickles, and a lifetime subscription to The Southern Porch. LaChapelle will not speak at the awards ceremony, and will instead be treated to one of Dear Leader’s famous southern clog dancing performances. This year’s clog dance is inspired by traditional lizard mating rituals, and will be performed on a mock-porch.